A dramatization of the story of legendary movie actor James Dean. The films writer, William Bast, had roomed with Dean in the early 50s, when both were trying to break into films as actors. 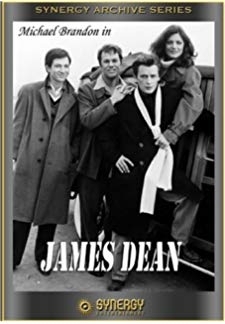 © 2018 Scratchu.com James Dean | Michael Brandon, Stephen McHattie, Brooke Adams, Julian Burton, Candy Clark, Dane Clark, Meg Foster, Katherine Helmond, Amy Irving, Robert Kenton, Jayne Meadows, Heather Menzies-Urich, Jack Murdock, James OConnell, Leland Palmer - James Dean (1976) | English Movie | 6.2/10 | Synopsis : A dramatization of the story of legendary movie actor James Dean. The films writer, William Bast, had roomed with Dean in the early 50s, when both were trying to break into films as actors.... Watch Online!! !